NEW YORK (KGO) -- A deadly shooting at a gay nightclub in Orlando left at least 50 people dead on Sunday, June 12, 2016. Across the country, LGBT communities gathered to mourn the loss of the victims. 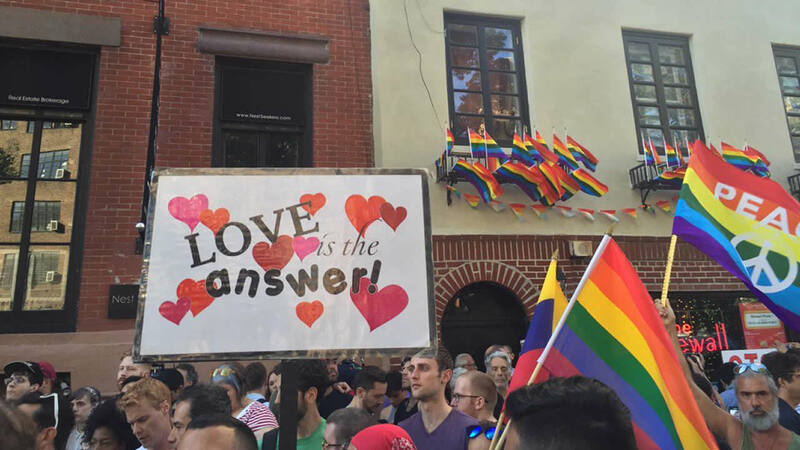 In New York City, LGBT people and their allies converged on the Stonewall Inn in Greenwich Village in spontaneous reaction to the shooting. The Manhattan bar became a national symbol of gay rights after a 1969 police raid led to violent street riots.